Babe Didrikson Zaharias was an American athlete who achieved great success in a different range of sports like golf, basketball and track field. Born on 26th June 1911, she gained world fame for her athletic achievements in track and field and All-American basketball. Apart from these, she also played organized baseball and softball. In the 1932 Olympics, Didrikson won two Olympic golds and a silver for track and field. In 1931 she had led her team to an Amateur Athletic Union's Basketball Championship. She gained recognition post 1935 when she began playing golf. 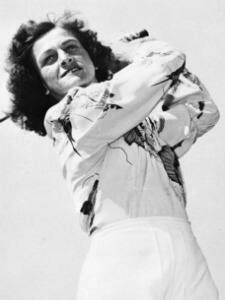 Babe Didrikson became the first female golf celebrity in America and also lead the list in 1940s and 1950s.